Increase Mental Energy, Improve Digestion, Fortify Immune System, Tastes Great! Tonic Alchemy™ is your daily assurance for a perfect diet. With 91 amazing ingredients, Tonic Alchemy™ is the source of thousands of phyto-nutrients. 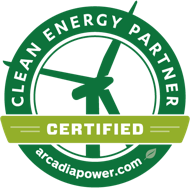 Tonic Alchemy™ is a remarkable, cutting edge blend of superfoods, premium tonic herbs, organic fruits and vegetables, and probiotics from all around the world – from the cleanest oceans, to the most bio-diverse rainforests, to the world's most remote mountains. Ingredients come from almost every continent and every type of environment on earth. These superfoods are so nutrient dense that just a tablespoon a day of Tonic Alchemy™ blended with a liquid will provide more high quality nutrition and phytochemical support than most Americans assimilate in an entire day. Tonic Alchemy™ is delicious and easy to prepare. You will look forward to each opportunity to enjoy this life-giving superfood matrix. Every serving is a step toward radiant health, including the potential to slow down aging itself. • The ingredients in Tonic Alchemy™ have been collected from the highest mountains in the world (including the Himalayas, Heaven Mountain, Changbai Mountain, the Ural Mountains, etc. ), from remote deep blue oceans, and from pristine forests, deserts and jungles throughout the world. Only the finest available ingredients are included in Tonic Alchemy™. • Tonic Alchemy™ is a dietary source of literally thousands of useful phytonutrients including natural B vitamins (normally not readily available from vegan sources) from Ashitaba and Hydrilla super green foods. 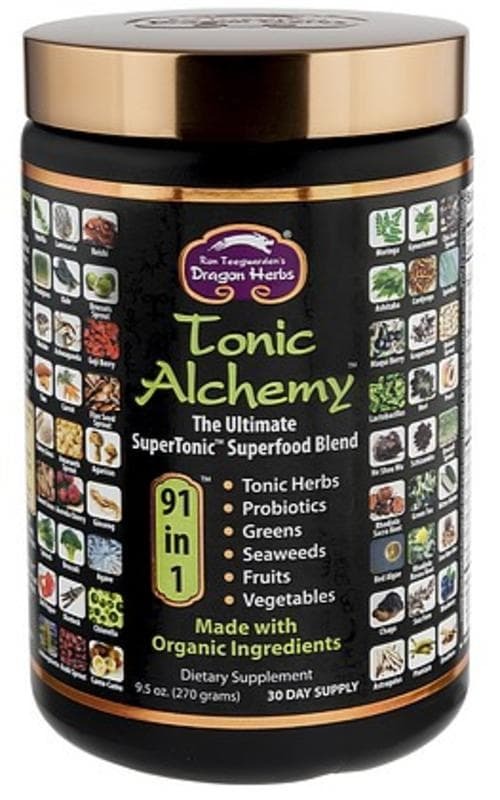 Tonic Alchemy™ also includes the 20 greatest vegan supertonic herbs from around the world. Tonic herbs are consumed throughout the world on a daily basis to promote radiant health. Herbs like wild Siberian Chaga, mountain grown Duanwood Reishi, organic Ginseng from Changbai Mountain in remote Manchuria, Ashwaganda from the foothills of the Himalayas, two varieties of Rhodiola (one from Tibet and another from Siberia), and so on. • Tonic Alchemy™ nourishes the whole body by increasing balanced energy and vitality, supporting detoxification, boosting immune responses, building the blood, increasing activity and quantity of antioxidants and enzymes, and much more. • Tonic Alchemy™ can be your dietary foundation for radiant health, traditionally defined in Asia as "health beyond danger." From a tonic perspective, Tonic Alchemy™ abundantly tonifies all three Treas- ures, Jing, Qi and Shen. Tonic alchemy is vibrant life force in a bottle. Why Consume Tonic Alchemy? Over the past forty years ten's of millions of Americans have become aware of the need for better, more natural nutrition. Everyone now realizes that good nutrition is central to health, well being and longevity. Americans can eat large amounts of conventional food and still be undernourished. Of course, we can shop at natural foods markets and purchase plenty of good nutritious, even organic foods, but that is difficult for many people to do all of the time. The U.S. government has recently released its new dietary recommendations urging consumers to consume up to 13 servings per day of vegetables and fruits. This long overdue recommendation affirms what many of us have known for a long time. Still, most Americans will not be able to achieve these standards. Even those of us who eat consciously often find it difficult to eat well all the time. The earth and seas provide incredible nutrition that is accessible and invaluable to our health, well being, aging process and longevity. Luckily, Tonic Alchemy™ can make a huge difference in our actual vegetable, fruit and overall phtytonutrient consumption. Tonic Alchemy™ contains superfoods – foods of extraordinary nutritive value – nutrient-dense greens, super-tonic herbs, tonic mushrooms, antioxidant-rich fruits and sea vegetables, vitamin-rich sprouts, probiotics and naturally fermented foods, all of which contribute to our deeper nutritional needs. Tonic Alchemy™ is a source of concentrated garden vegetables, with a focus on the cruciferous vegetables, the very ones we need to consume virtually every day to enhance our immune system. Tonic Alchemy™ is exactly the concentrated vegetable booster you need in order to achieve and to maintain glowing health. People often suffer from unexplained problems because of a lack of certain nutrients in their diet. Even if you think you are eating a healthy diet, it is quite possible you are being cheated – or just fooling yourself. These deficiencies are not the result of a lack of food quantity, or may not even be the result of eating "poorly." It is quite possible to eat many "servings" of fruits and vegetables a day and still be coming up short in terms of some nutrients, trace elements and nutritional factors necessary for radiant health. The body requires a wide range of nutrients and phytochemicals to thrive. We live in extraordinarily complex times. Our lives are complex and our needs are complex. The body is a system of millions of interconnecting functions happening at every moment in a harmonious way – if we are healthy. We know that if certain nutrients are missing from our diet, we are going to suffer from a deficiency. Different cells, different tissues and systems require specific biologically active molecules and chemicals in order to achieve optimum performance, including a wide range of minerals, vitamins, and plant phytochemicals. It is possible to "live" or "survive" without some of these substances, but just living or surviving is not the same thing as "thriving." Thriving means living life to its fullest in a healthy, happy, flourishing, robust, satisfying way. Nutritional variety plays a very key role in thriving. In fact variety is the ultimate thrival© factor. We all know about the "minimum daily requirements" for nutrition. These are not about thriving. They are the "minimum" requirements to remain marginally healthy, to not slip into a deficiency disease state. Even "average daily requirements" are not about thriving. Thriving requires more and better. Not necessarily more in terms of any one nutrient, but more in terms of a variety of nutrients and phytochemicals and other life-promoting factors that the body can use for optimum living. And better in terms of the quality and completeness of those nutrients. The "minimum daily requirements" system is grossly oversimplified. Since the system was developed, scientists have discovered thousands of new chemicals in the human body that have profound effects on our health and wellbeing. There are too many nutrients that we really require to put on a food product label. The system is only marginally relevant. The problems associated with consuming "variety," however, are daunting for many people. If you want to get all these nutritional factors into your diet, you must first find all of them and make sure they're all genuine, and they're all organic, and they're all from the best sources. Secondly, you'd have to obtain all of them – and that would obviously be time-consuming and expensive. Thirdly, you'd have to prepare them all and eat all day long in order to get them all in – every day! Thank goodness there's an easier way! The solution lies in Tonic Alchemy™. We collect the most nutritious ingredients on earth from the best sources. We've created a delicious, 100% natural, easy to prepare, easy to consume blend of superfoods that anyone can easily get into their body every day. The superfoods contain numerous substances that are not available in the everyday diet. These substances contribute to radiant health – the kind of health we are all seeking. It is rich in nutrients that can improve our general state of wellbeing and our overall health, and can contribute to slower aging. 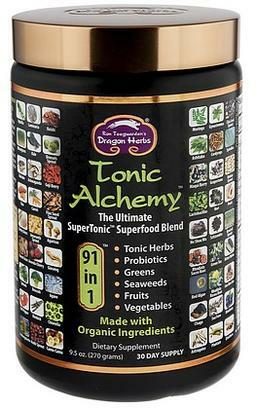 Tonic Alchemy™ contains 91 superfoods and probiotics organisms. It is more than a complete food. It is quintessential nutrition! It is your daily assurance for a healthy diet. Who do you know that for sure is getting everything they need nutritionally every day? Well, if you know someone who is consuming Tonic Alchemy™ every day, then you know somebody. 9 g (1 scoop, provided).